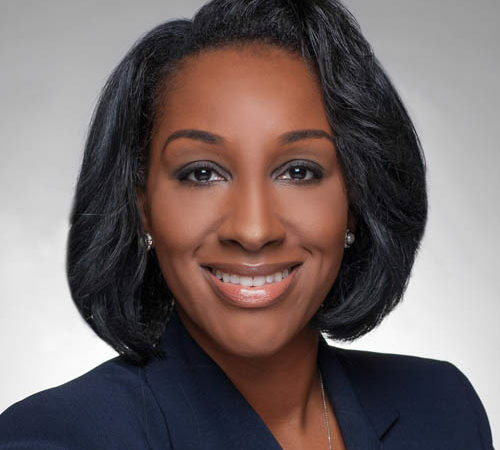 Angella Middleton | The Barristers' Association of Philadelphia, Inc.
Angella Middleton is an associate at the law firm of Saul Ewing Arnstein & Lehr, LLP, where she focuses on commercial litigation for corporate clients, particularly in the insurance and higher education industries. Her experience includes matters involving excess and catastrophic loss, professional liability and general litigation. She litigates matters in Pennsylvania and New Jersey state court, as well as is federal court. Angella is a Philadelphia native, but began her legal career in New Jersey. There, she served on the scholarship committee and Board of Directors for the Garden State Bar Association (a chapter of the National Bar Association). Angella is also in her second term on the board of the Rutgers Law Alumni Association in Camden, NJ. While a student at Rutgers Law, Angella competed on the law school’s Thurgood Marshall Mock Trial Team, for which she now serves as a coach. Under Angella’s leadership, the team was awarded first place in the Mid-Atlantic Region Competitions in February 2016. Angella also volunteers as a coach for the mock trial team of her alma mater, Franklin Learning Center High School in Philadelphia. In February 2016 Angella released her first book, Life Lessons I Learned in Law School. The faith-based book tells of triumphs over troubles that may be faced by anyone in any walk of life, and the lessons that can be learned through the process. Angella actively supports local community and Christian organizations. She enjoys mentoring and teaching disadvantaged youth.